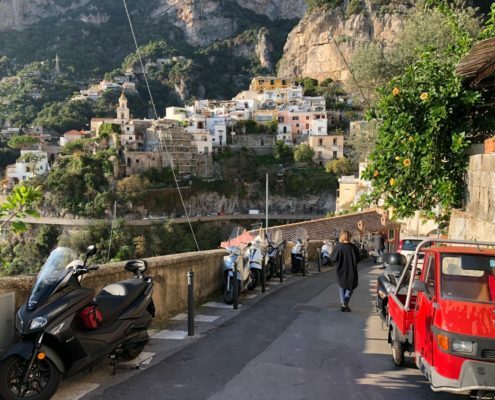 Positano – The Pearl Of The Amalfi Coast! 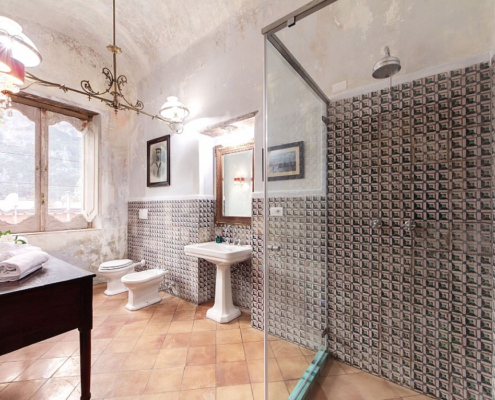 Italian villas are high on many “bucket lists”. everything will be arranged for you. 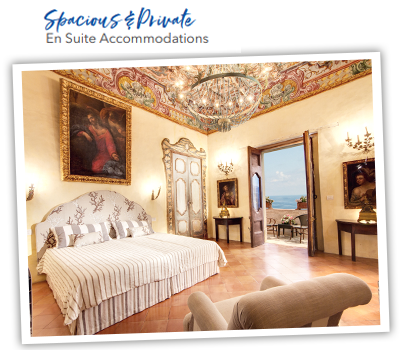 Not a tour in the traditional sense — there is nothing traditional about it — just 12 to 14 like-minded guests who have food, wine, and travel interests, and want exceptional accommodations with privacy when they desire it, and social time when it suits them. Saturday-Check-in 4pm. Optional transfer Naples airport/train station, stop for lunch, based on participation. Upon arrival you will instantly know why the trek was worth it! 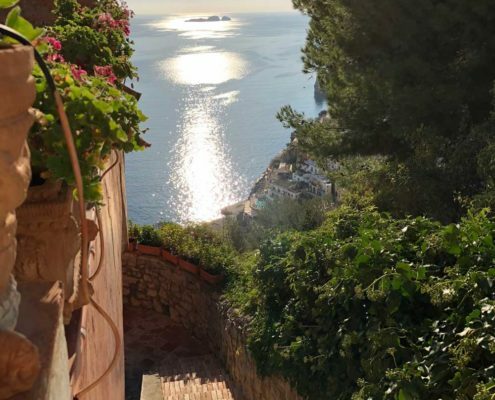 At 6pm a Welcome Reception awaits you on the terrace — followed by dinner; welcome to Positano!! Sunday- Breakfast, lunch and dinner at the villa. 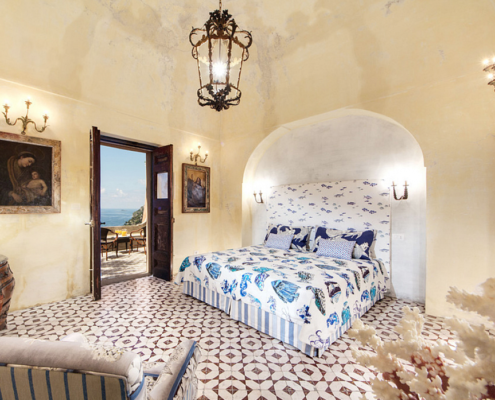 Explore the villa and Positano at your leisure. 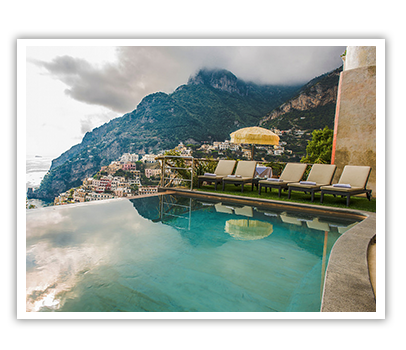 Enjoy a cocktail, or cold beer at the villa’s private infinity pool with sweeping views of the Mediterranean. Evening Yoga followed by dinner. Monday- Masa Lubrense/Sorrento— B, D, at the villa. 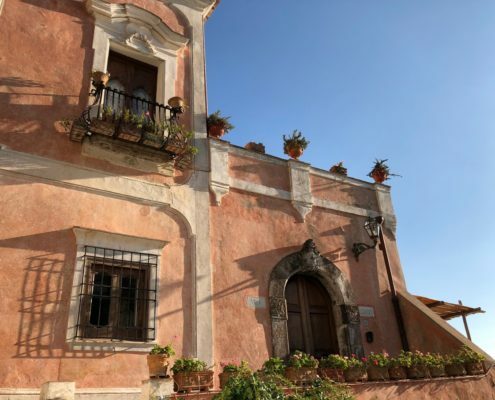 Today we will tour La Masseria, an ancient organic family farm in Masa Lubrense. 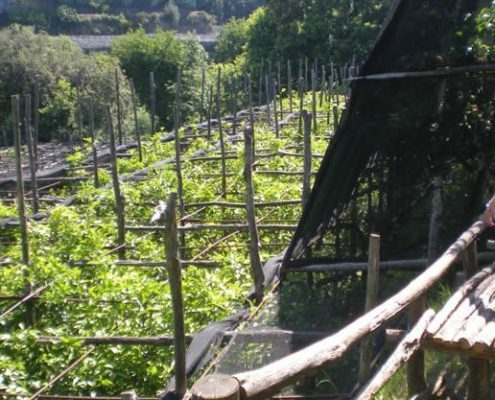 We will walk the “canopy” of the lemon grove and learn how they make the iconic Limoncello of the Amalfi Coast and visit their winery. 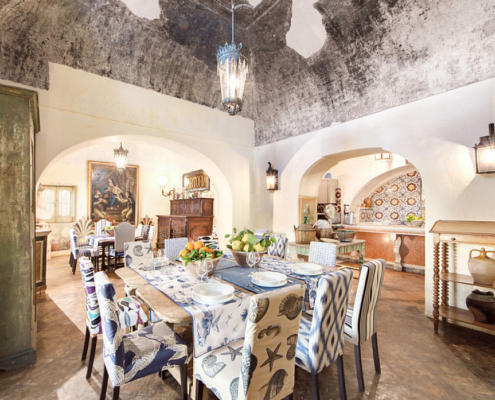 Enjoy an authentic quintessential lunch with wine and all food produced by this family. 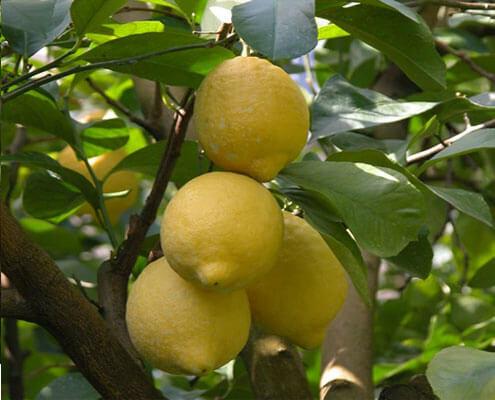 Followed by a visit to Sorrento, one of the most beautiful cities in Italy; the land of Orange & Lemon Groves. People watch in a piazza while you enjoy an espresso, gelato, or much needed shopping! Tuesday- Pompeii— B, D, A guided tour of the vast archaelogical site buried under 13-20 ft. of ash after the catastophic eruption of Mt. Vesuvius in 79 A.D. The preserved site features excavated ruins giving insite to this ancient town. A stop for lunch before returning to the villa in mid-afternoon. 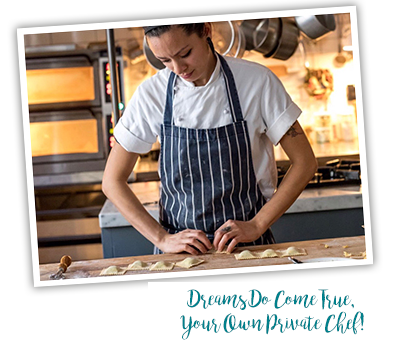 Wednesday- B, L, D, at the villa; Pasta Making Class (optional), our efforts will be rewarded, as fresh pasta will be served for lunch. 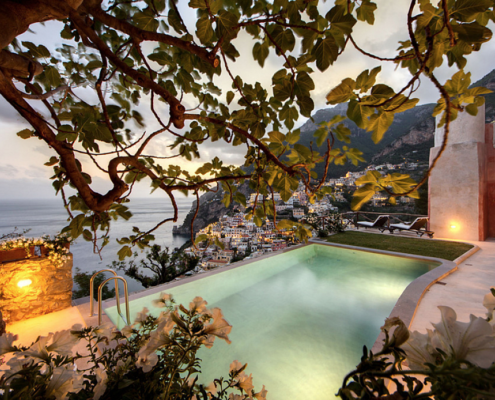 Soak in view from the villa, or enjoy Positano for the afternoon. Dinner at the villa. Thursday- Campania— B, D, The region of Campania is an outstanding wine region. Not often do we see these wines in the states, so you are in for a real treat. We will visit a local winery for lunch and a wine tasting. 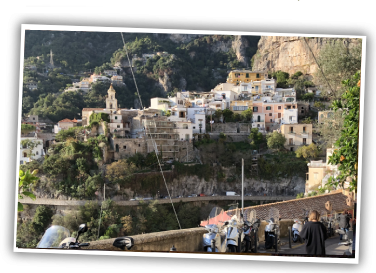 Friday- Ravello/Amalfi— B, D, A Unesco World Heritage Site, Ravello is one of the most charming towns on the Amalfi Coast with sweeping seascapes and breathtaking scenery. 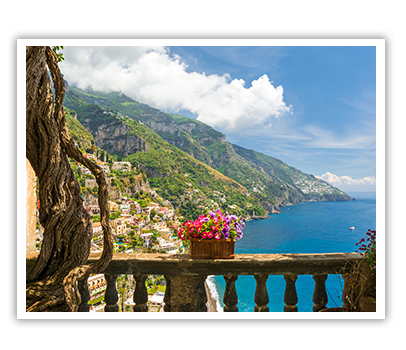 While the origins of Ravello date back to the Roman era, it was the Middle Ages that gave the town it’s wealth and status. 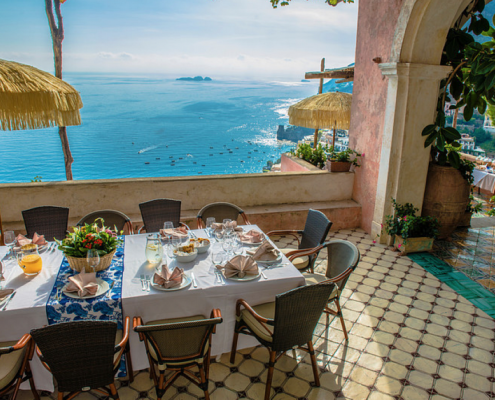 Lunch will be special as you take in the views with time to stop in the town of Amalfi before returning to the villa. 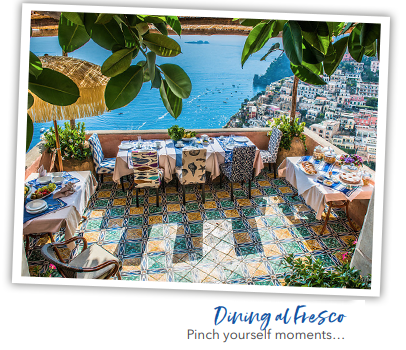 A Farewell Dinner will be served al fresco on the terrace! Saturday -After breakfast, 10am check-out, then embark on your other European travel plans. Rome, or Florence anyone? Optional transfers available. 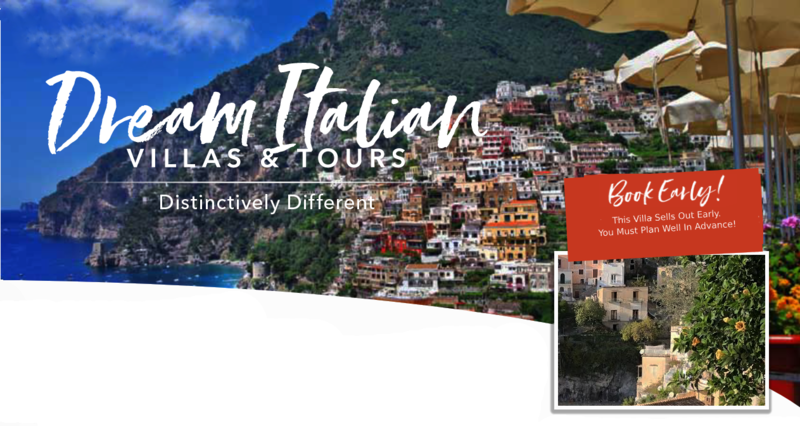 NOTE: The Amalfi Coast Tour is not suitable for those with walking challenges. This region is cut into the hill, so steps and uneven surfaces are everywhere. The villa has 150 steps. Bellman will carry your luggage. 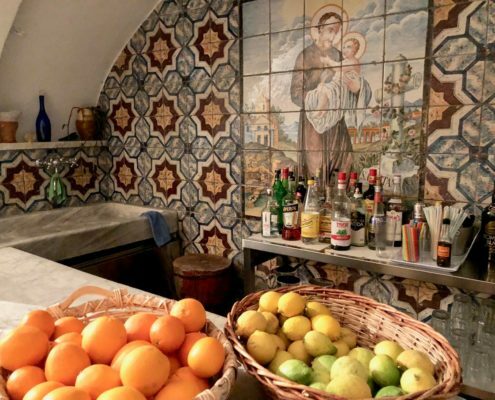 Autumn in Tuscany, or Puglia, Italy’s Best Kept Secret! 1st Deposit of $1000 pp within 7 days of reservation; 2nd deposit (50% of balance) 7 months before tour; final payment due 90 days prior to tour. Deposits and Final Payments are 100% Non-Refundable. Travel and cancellation insurance is required by villa owner and willl protect your investment. Final payment will be based on prevailing Euro currency: at time of publication 1 EUR = 1.22 USD. Deposits & final payments are 100% non-refundable, your payment constitutes acceptance of our cancelation policy. We require everyone to purchase trip cancellation insurance. Your travel agent can assist you, or we can assist. We are not responsible for any fees you might incur that insurance, or trip cancellation does not cover. Tour requires participation of 14 guests if necessary you will be notified by 7 months out and a full refund will be issued. We recommend not purchasing any non-refundable airfare etc. until such time. Pricing is per guest and includes all meals & items noted in the program. City center Rome hotel transfer at 11am is additional, cost based on participation. If deemed necessary to make adjustments to the program, it will be at our discretion & held to the same standards. No refund on unused nights. Transportation included for scheduled excursions only. Should you opt out of tour, lunch will be available at the villa, no refunds on unused tours, or changes due to inclement weather. US$ Credit card payments require a 2.7% fee, International 4.4%, we accept US$ Checks, otherwise International Wires a $15 fee. Bank Fees subject to change.